Step 3: Select the ‘One Page Portfolio Type’ tab. 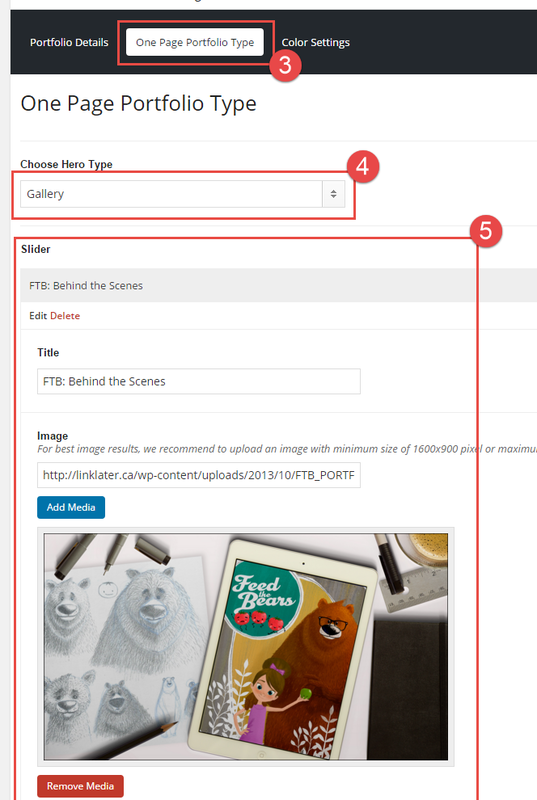 Step 4: Set ‘Choose Hero Type’ to ‘Gallery’. 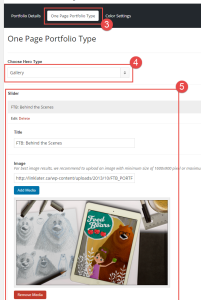 Step 5: Add your slider images. Do this my selecting the ‘Add Media’ button and choose the image you want to add to your gallery slider.